Sri Aman is a market town and port, and the capital of Sri Aman District and Sri Aman Division in Sarawak, east Malaysia. 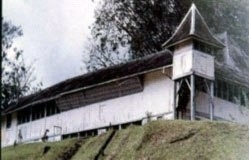 Sri Aman is also called Bandar Sri Aman, and was formerly known as Simanggang. Sri Aman means "town of peace" in the Malay language. Located on the Lupar River, it is 193 kilometers, a three-hour drive, from Kuching, the capital of Sarawak. 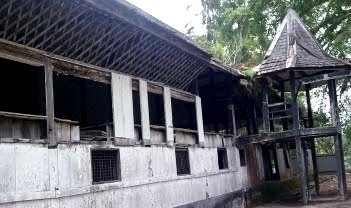 It is a trade center for the timber, oil palm, rubber, and pepper of its mostly agricultural district. Sri Aman is famous for the benak, or tidal bore, of the Batang Lupar River. The tidal bore comes in from the river mouth and fills up the river very rapidly in the course of about 10 minutes. The wave crest at Sri Aman is up to 2 to 3 metres high. This is one of approximately 400 rivers and estuaries in the World where this phenomenon happens. There is a timetable at the river which has the time and dates for when the tidal bore will occur, but the really big ones occur only a couple of times a year. The author Somerset Maugham almost lost his life at Simanggang during one of these tidal bores, and commemorated the event in his short story Yellow Streak. 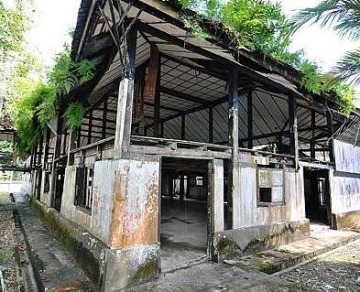 Sri Aman is also a gateway for tourists to the Batang Ai National Park, and cultural tours to the Iban longhouses along the rivers. Sarawak, Malaysia Travel to Borneo Kuching Sarawak References 1 No Reviews Yet. Here's the our members favorite photos of "Towns & Villages in Sarawak". Upload your photo of Sri Aman!